It's starting to look prettier! We have hardwoods in the kitchen! They aren't finished yet, but the whole space looks so much more cohesive already. And now we talking about removing the diagonal wood paneling from the living room walls. The are too country to stand next to our new modern kitchen. As a side note, this whole process hasn't been too bad (except for all of the decisions) until now. 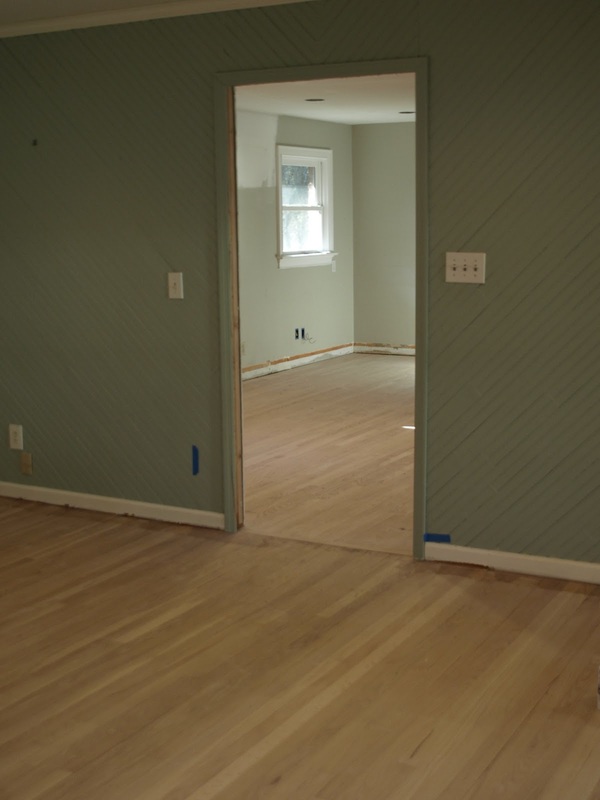 In order to finish the floors, we had to cram everything into our bedrooms and basement. Now, it's starting to feel crowded. However, this part shouldn't take too long. The cabinets are coming next week, and then we'll really get going.